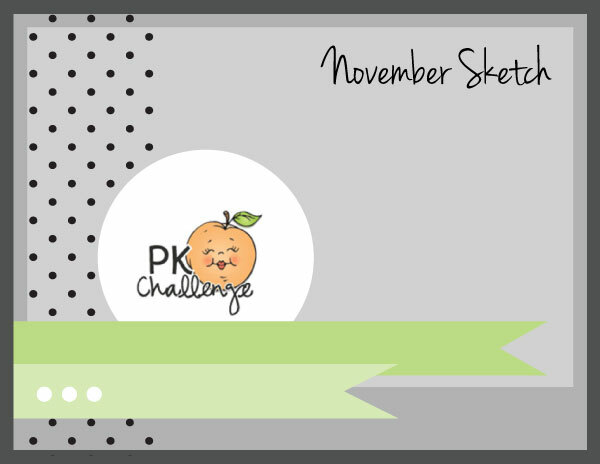 This week's PKS Challenge is to create a card using this sketch. There are so many things you can do with the layout. I just had to use the new Stamp of the Month set for my card. The little elves in this set are the sweetest! To order this set (or subscribe to the SOTM club), head over to Peachy Keen Stamps HERE. Check out the other creations by the design team HERE. Just a reminder, the new stamps are coming! Head on over to Peach Keen on Monday to check out all of the great new stamps including this sweet elf in the November stamp of the month set. Very 'sweet' card, love the peppermint candies!! Love this Kim...the wee red and white bon bons look like the wheels of the conveyer belt for the candy!! the wee smile on the elfs face is wonderful.